When mine were younger, I always found costumes for boys much harder to think of and it got harder every year to think of something different. 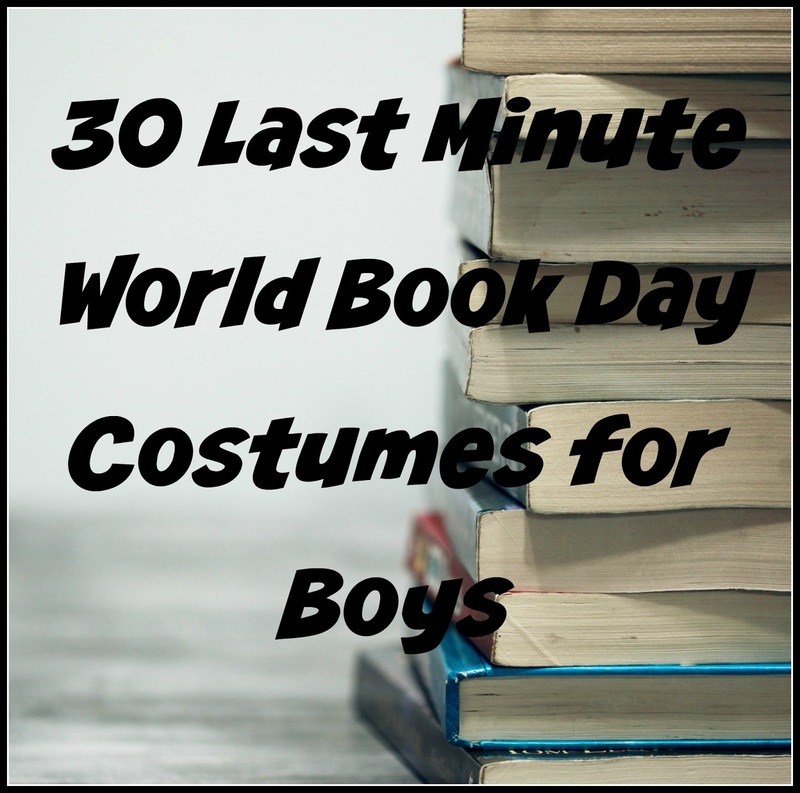 So, if you had no idea it was World Book Day, didn't get the letter, or are just generally really busy, here are some last minute World Book Day costumes for boys that should get you out of trouble. They can hopefully be created from items you already have at home, just pick the one that suits what you can find. Don't worry if they haven't read the book, it's a great opportunity to learn a new story and all the costumes come from either classic children's books or the top 100 children's book list. Charlie Bucket: Blue jumper, dark trousers. You can print a Golden Ticket, or make your own. Mike Teavee: Yellow/light coloured shirt, light green/blue neckerchief, cowboy hat if you happen to have one, toy gun. Blue jacket, rabbit ears and face paint for nose and whiskers. See Guess How Much I Love You above. Saucepan Man: Large saucepan/colander for hat and various metal utensils and small kitchen items tied to clothes. Angry Pixie: Red top, red trousers, black belt, face paint for red cheeks and nose, pointy hat if you have one, or can make one. 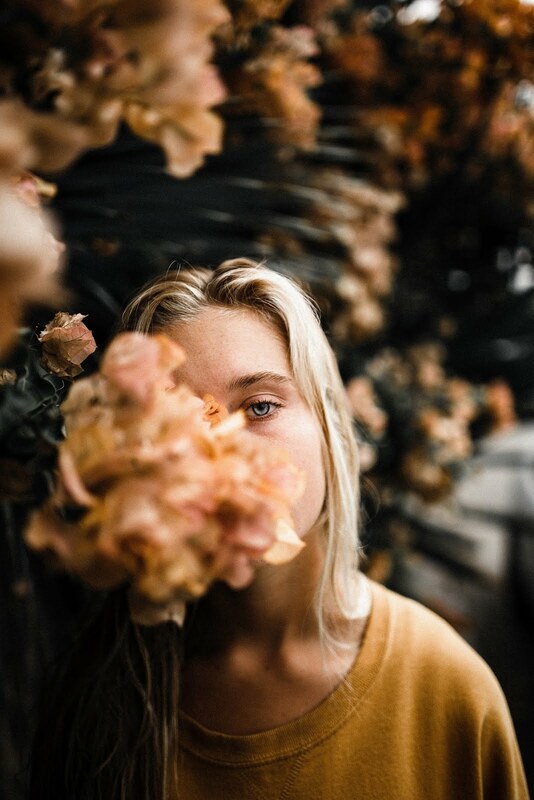 Yellow top, blue jeans. Props could be; door key, baby doll, or some shopping. Stripey T shirt, dark shorts, stuffed toy dog. Bruce Bogtrotter: Pale shirt, with brown paint for chocolate stains, dark trousers and face paint to represent chocolate on face. Chocolate cake optional! Light blue top, blue jeans. For accuracy, you could use yellow masking tape to make the yellow stripes. Old Man: grey trousers, black jacket, face painted beard, hat if you have one, toy farm animal. Peter: Green trousers and top, green hat which you can make by rolling card or paper into a cone shape and painting green. White shirt, sleeves rolled up and 'dirtied' with paint or dirt, dark trousers, belt, face painted beard and moustache, scruffy hair. Waist coat, white shirt, flat cap, satchel, or similar. White t shirt, with black spots painted on, black face paints for face spots. You can recreate the classic scene in the Thames with just black clothes and a mask and snorkel! Easy, if he's brave enough to wear a dress to school! White long sleeved shirt, black trousers. I hope you find something you can use in our 30 last minute World Book Day ideas. 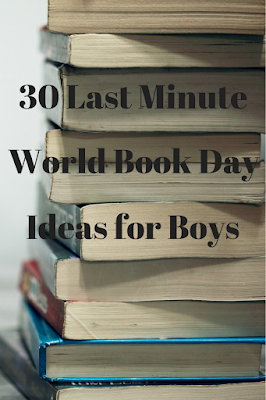 If you also need ideas for World Book Day costumes for girls, click the link! These are all really fantastic ideas. I lack such creativity in the ideas department, although for my daughters last one in the UK she went as Fantastic Mr Fox...we have a brown leotard and leggings already, made ears and a tail, and face painted her!! She got the best prize for coming as Aslan from Narnia!!! 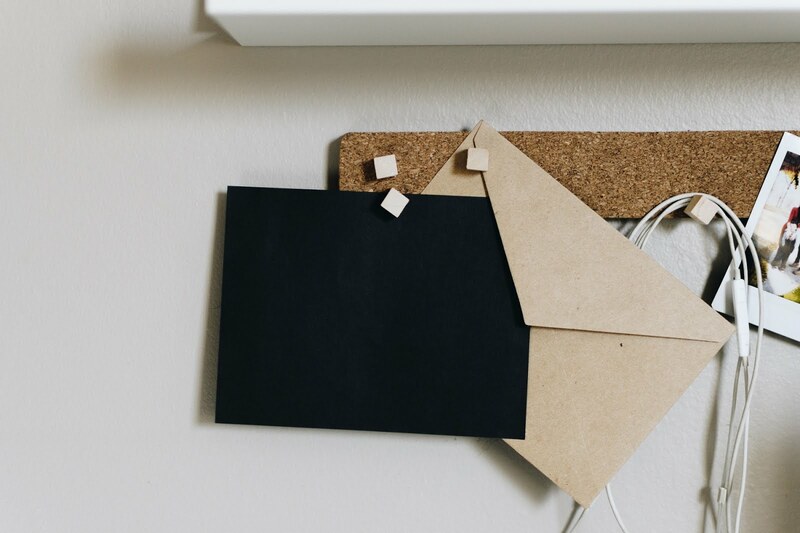 Lots of great idea's here! My son went as The BFG one year and I was desperate for him to go as James and the giant peach this year (his name is James lol). He was however adamant that he is going as Harry Potter this year! These are all such good ideas! I remember my sister and I going as dalmations when we were little, there's a photo on the wall at my parents house with our faces painted! It was such a fun costume! some great ideas for last minute costumes Dear zoo is a really good one for finding something you already have! Love your very practical costume ideas for World Book Day. Thanks for sharing them. Some great ideas here. I always use to struggle for ideas when mine were at junior school. That's a great list of ideas for costumes. I don't think World Book Day is a thing here in Portugal but I'll find out tomorrow! There are a lot of easy stuff you can choose from. 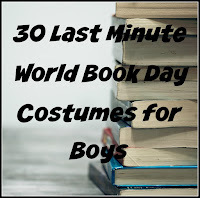 Probably the easiest one is the Diary of a Wimpy Kid and the 101 Dalmatians costume. I'd love to try it.